Mora of Sweden Mora Knife or Morakniv, formally Frosts knives survival bushcraft knives and outdoor hunting 277 Forest model knives, Morakniv 2000, Heavy Duty Bushcraft and Craftline TopQ and professional kits for woodcarving and hunting knife sets from Scanmix Corp. Now with free shipping for orders over $95. 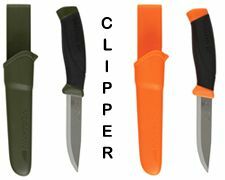 In fishing, sporting, hunting, survival, tradesman and wood carvers, Mora of Sweden knives are well known for their superior ability to cut, chop, clean and fillet. Craftsman, woodcarvers, hunters and survivalists are some of our most loyal customers. As one of man's oldest tools, the genuine Mora knife has served over the centuries as a tool, an eating implement, a weapon & also an object of barter. 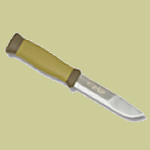 For knife specs or to place an order, click on any photo or text link. Free Shipping for knife orders totaling over $95. Frosts Knife Mfg. and K.J. 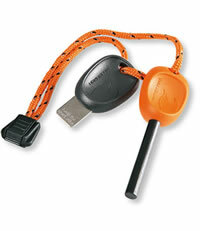 Eriksson have merged to create "Mora of Sweden" knives(Morakniv™).